As if we all didn’t need even more of a reason to watch New Japan Pro Wrestling, a big announcement regarding NJPW in the United States was made this past Friday at Ring of Honor’s War of the Worlds show in New York. Taking a little bit of a page out of WWE’s expansion into Europe with the United Kingdom Championship, New Japan will officially expand into the United States with the crowning of the first ever IWPG United States Heavyweight Champion! 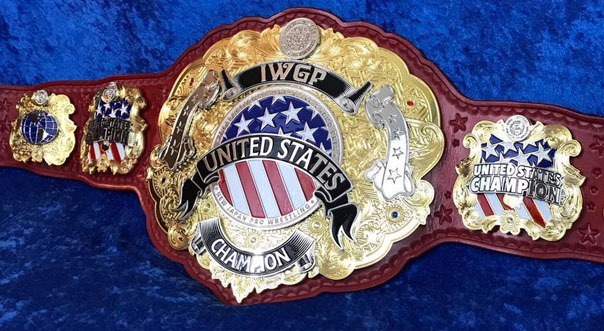 The inaugural IWGP US Champ will be determined in a two day round robin tournament held in California during the G1 Special in USA shows taking place on July 1st and 2nd this summer. As of now, not much has been revealed beyond that, but here’s a good look at the impressive looking title belt. We’re happy to announce the IWGP United States Championship last night at #ROHWOTW. The tournament will feature stars from ROH and NJPW. So far only Jay Lethal has been announced as a participant. The announcement of the IWGP US Title and the tournament comes not long after it was revealed that NJPW has plans to run extensive tours in the US starting in 2018. The plan is to set up a base in California, complete with a training center, and run tours from there. From the interviews I’ve read so far, it appears as if the NJPW US expansion will be fairly localized with the majority of wrestlers being US-based and about a quarter or more being Japanese. To me, it sounds like the difference between NJPW Japan and NJPW USA might look a lot like the difference between Dragon Gate Japan and Dragon Gate USA. I think the US expansion could be very exciting, but I hope New Japan is able to keep the feeling of NJPW shows with the new location and different talent involved. One of the things that makes NJPW so special to watch is that it feels so different than what we see in the United States and elsewhere, even differing from ROH which it has such close ties to. I suppose I’m saying I hope this doesn’t just feel like an extension of ROH. To succeed in the long term it really needs to set itself apart. I have faith that it will. For now though, I’m excited to see the tournament in July, and I’m also pumped to watch the 2017 Best of the Super Jr. tournament starting in just a couple of days!